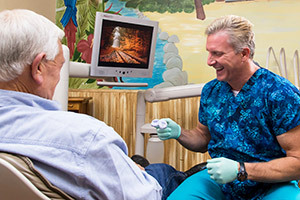 Dr. Goch is committed to providing high-quality dental care in a family environment. Dr. Goch has been practicing dentistry since 1993. 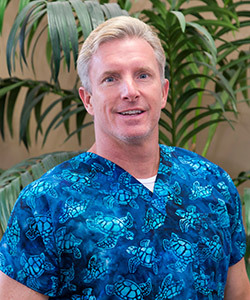 He is committed to providing the highest quality dental care in a pleasant, relaxing, family environment. Dr. Goch truly cares for his patients and makes every effort to help them feel comfortable and at ease about their dental procedures. His caring attitude extends beyond your office visit with excellent follow-up aftercare and personal phone calls. Dr. Goch will never recommend procedures that you don’t need, and he is very generous with his time and efforts, going the extra mile with his patient care. Dr. Goch has been trained in, and is experienced with, a wide range of general and cosmetic dental procedures. He earned his Doctor of Dental Surgery degree (DDS) from the University of Maryland College of Dentistry in 1992, and his AEGD (General Dentistry Residency) from Temple University College of Dentistry in 1993. Dr. Goch continues to hone his skills through post-graduate education, such as five-day, hands-on cosmetic dentistry training at the Nash Institute for Dental Learning. Dr. Goch is a member of the Academy of General Dentistry and has received an award for professional excellence from the Northern Virginia Prosthodontics Society. He has also been voted Best Dentist in Cherokee County. Dr. Goch enjoys participating in family activities with his wife, Candice, and their daughter, Summer. An avid athlete, Dr. Goch qualified for the U.S. Olympic Swim Trials, was an NCAA All-American Athlete, and has competed in five Ironman triathlons. He also enjoys cooking, ballroom dancing, masters swimming and scuba diving. To make an appointment, call 770.479.5425 or click here to request an appointment online.